Straight from Cimarron: In 10 day Commiefornia jail. Pick up the 26th. 5.5" Richards 1860 Type II Transitional in .45 Colt/Schofield. Will go with my 8" barrel Type II. Re: Look what Santa is bringing me! Now that's a beauty, very gorgeous Tuolumne. 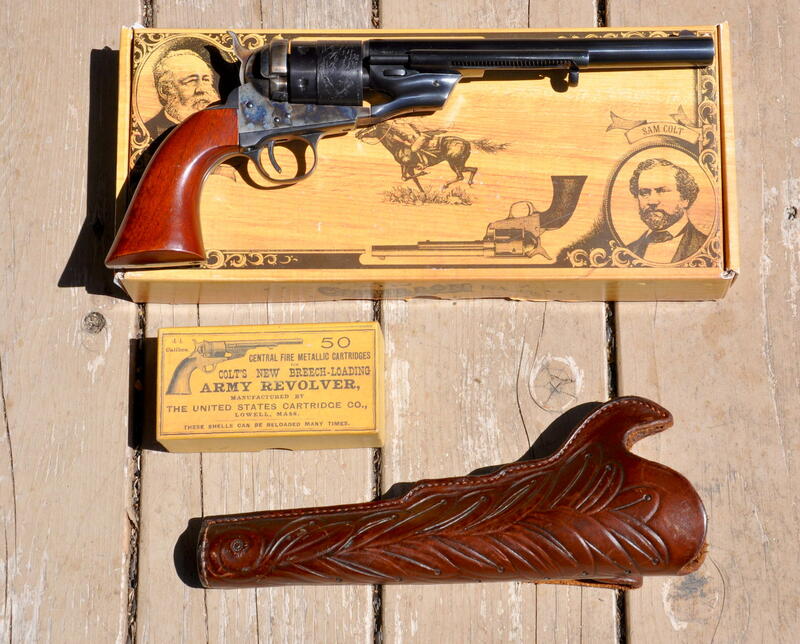 Beautiful, I have the same setup in 44 Colt. Thanks! Now I have a pair of Type IIs. One 8" and one 5.5" for my main match pistols. LOL, I have changed my mind, and not selling the Richards. I can't imagine shooting anything other than a cartrsidge conversion with my 1860 Henry. Ha, I did sell the 8", but kept the 5.5". I am doing a couple Kirst 1858 conversions ( a Pale Rider and a gated) for a Cowboy Chronicle article. Yeah, I know, the Remingtons bust my knuckles, but they are Cartridge conversions.